Donuts and car washes. They’re about as likely of a mix as mustard and ice cream. 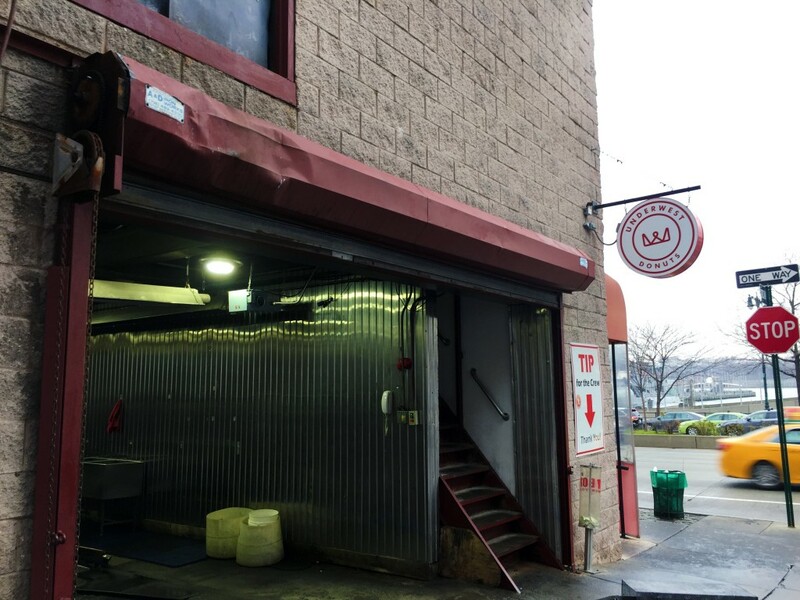 But if you’re wondering how a donut shop gets intertwined with a car wash, keep reading. When Chef Scott Levine, a veteran of the fine dining world, wanted to start a food business, we wet about as far away from the fine dining industry as possible. He took some space in his father-in-law’s car wash and opened this gem of an establishment: Underwest Donuts. 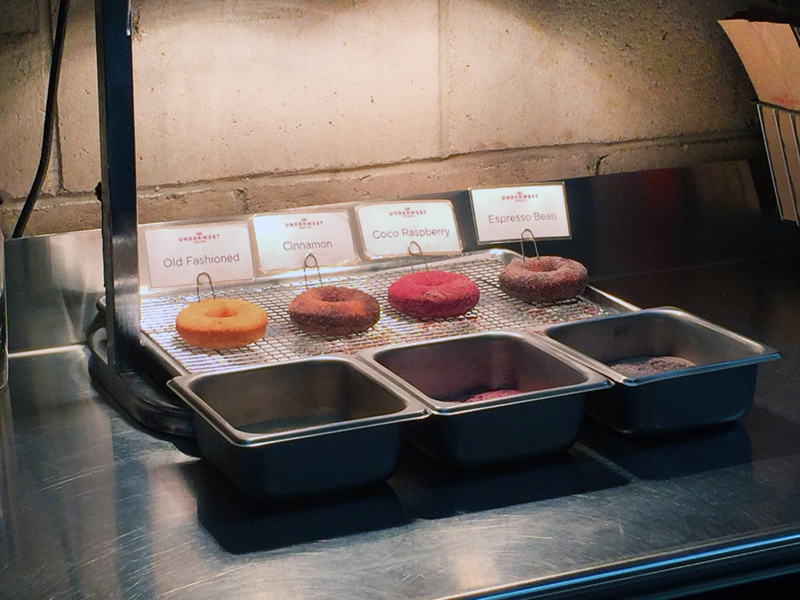 Levine specializes in cake donuts. But from the simple cake base comes some unique and creative flavors – the sort of crazy flavors he experimented with at Laboratorio Gelato. 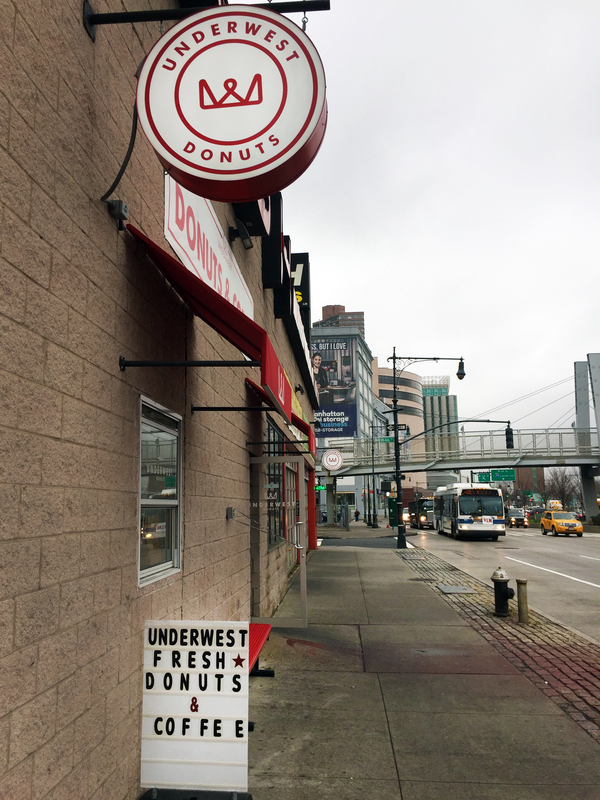 Underwest’s Car Wash Donut is the first you should try because, well, when in Rome. It’s aptly named for the place it’s housed in. Each glazed element has a perfect correlation to the car wash experience. 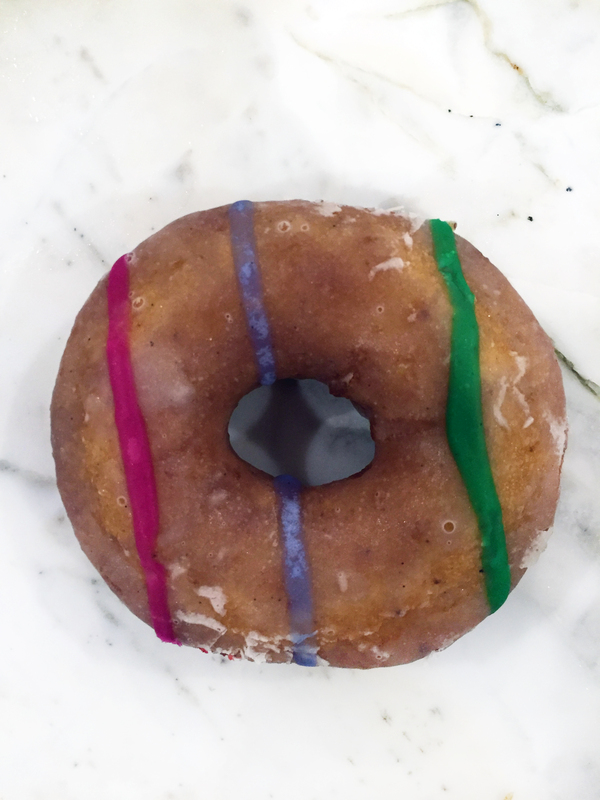 The vanilla glaze represents the soap while the blue, pink, and green lines of icing represent the waxes that stream across your car. This refreshing gem of a donut gets it’s perfumy, lavender flavor not from the sour cream or the brown butter bits, but the clever way they infuse the milk with lavender. Pro Donut Hunting Tip: don’t go home with the lavender car freshener or else you’ll be craving these donuts every time you get behind the wheel. After the car wash donut, don’t pump the breaks until you’d tried some others. 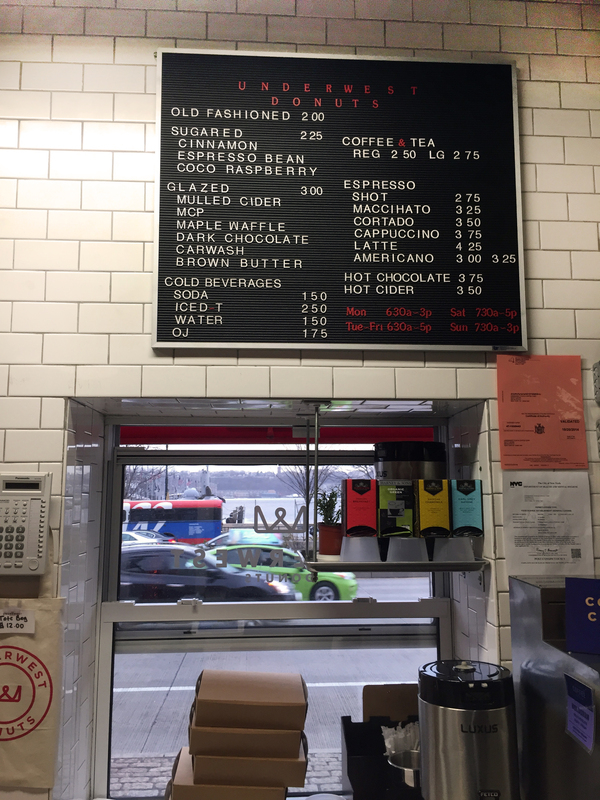 Their Maple Waffle donut is my next suggestion. It’s a perfect choice if you can never decide between a waffle or a donut in the morning. It has a sweet, maple-y taste with hints of nuttiness that come from the pecans used in the donut batter and also in the maple glaze. 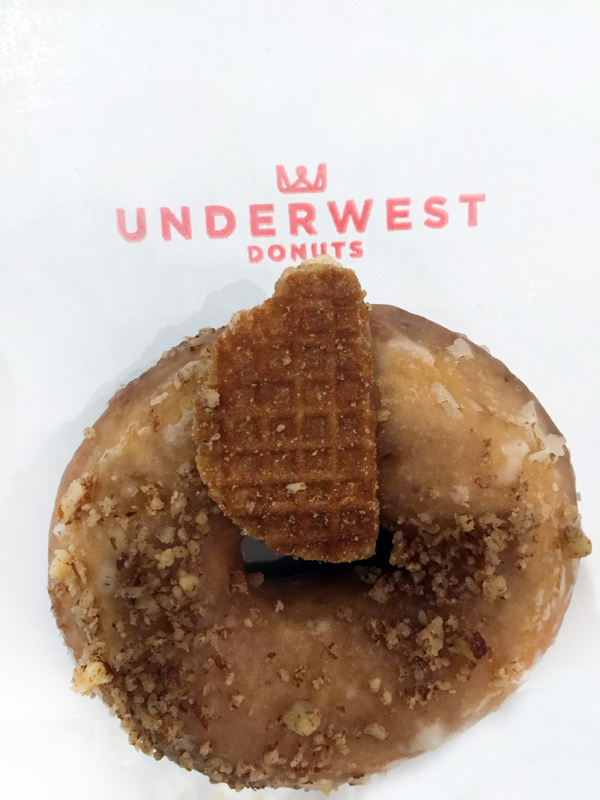 The donut is finished with a stroopwaffle on top, making it extra Instagram worthy. 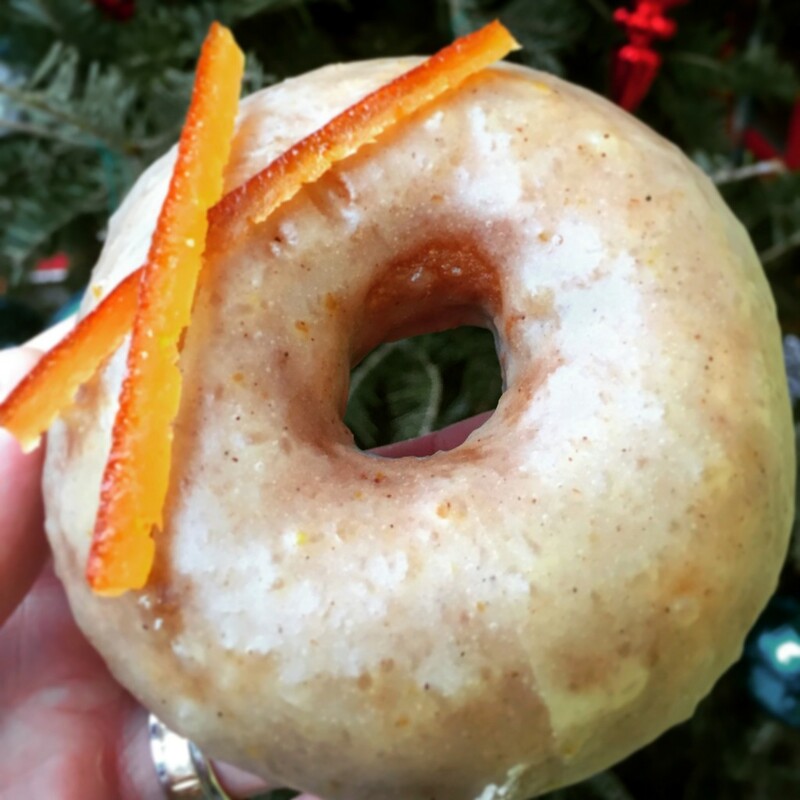 Their Mulled Cider donut was my favorite of the bunch. It was dense, but soft on the inside, with notes of orange, clove, and cinnamon. The Mint Chocolate Pretzel is all about the crunch, topped with peppermint bark and pretzels. 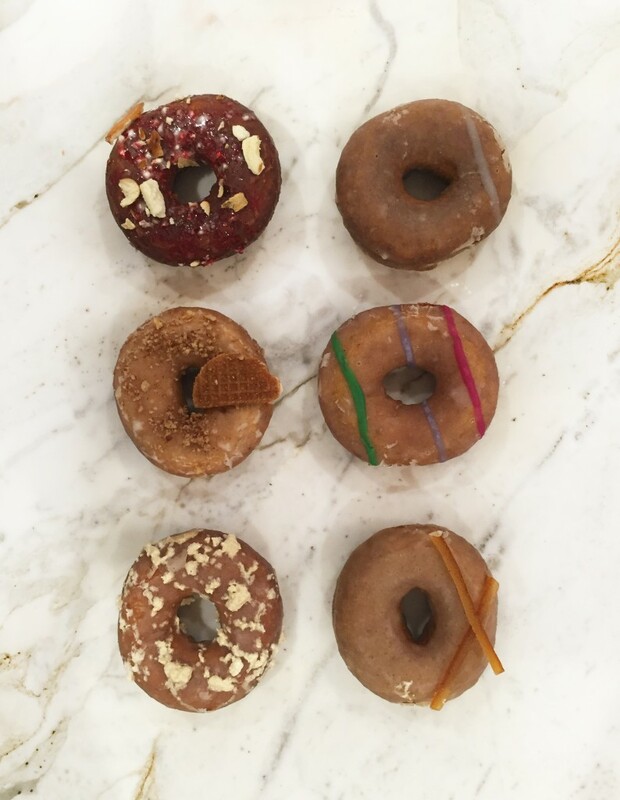 The Halva Donut has to be the most unique donut I ate in 2015. It is a truly creative concoction. The batter is filled with un-donut-like things such as tahini and ground sesame seeds. The glaze even uses roasted sesame paste. Finally, it’s covered with shredded halva. 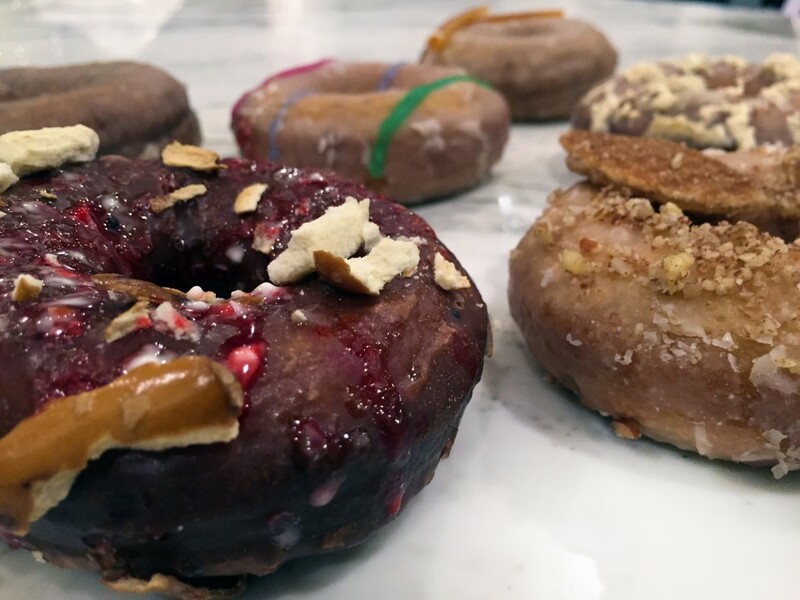 The end result is a nutty, almost peanut butter-like mixture that leaves the donut moist and flavorful. If these donuts have you drooling, make sure you do it on your front hood. That way you can have an excuse to get your car cleaned at the tastiest car wash around.